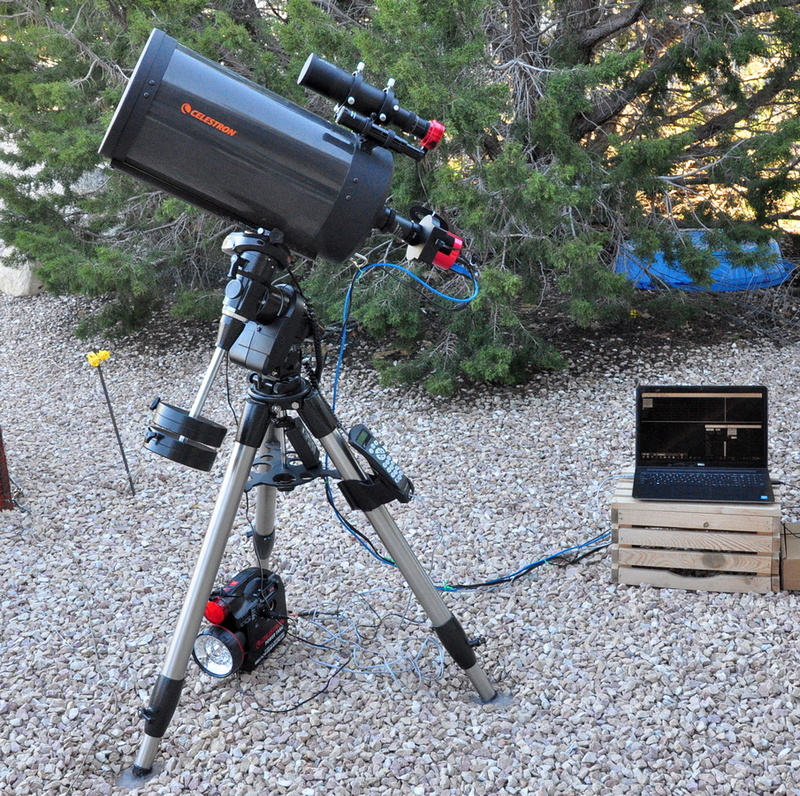 I bought a new astrophotography camera for my telescope. I took my first picture with it a couple of nights ago. 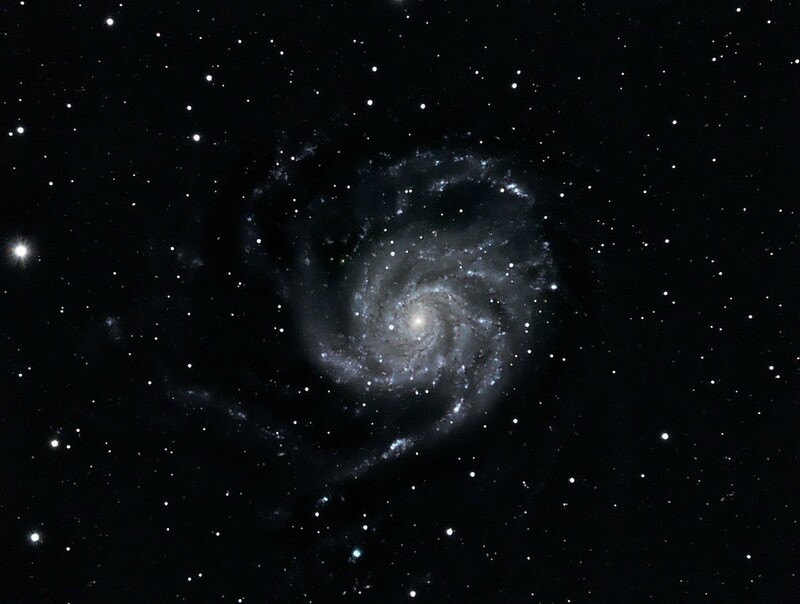 Here is M101, the Pinwheel Galaxy. It is located just under the handle of the Big Dipper and is 21 million light years from Earth. The camera has a mono sensor but I make color photographs with it by taking four separate images with color filters and then combine the individual grey scale color channels into a final LRGB color image. LRGB is Luminace, Red, Green, Blue. This image is short on exposure time but it is a stacked composite of 60 each 120 second Luminance photos, and 15 each of the individual red/green/blue filter photos also at 120 seconds for each photo. I think I'm going to have fun with this camera!!! I Dunno Nuffin Bout Photography. Not gonna lie - kinda jelli. 1. I Dunno Nuffin Bout Photography. But that is one awesome photo. Now take one of the black hole. 3. Not gonna lie - kinda jelli. but simply hadn’t got around to it. I know of a perfect place, far outside city lights where it’s easy to see the Milky Way. It’s a highway picnic area on the way to Austin from El Paso. It’s called the “Picnic Area Great Western Trail” on Hwy 290 between Junction, Tx., and Fredericksburg, Tx.